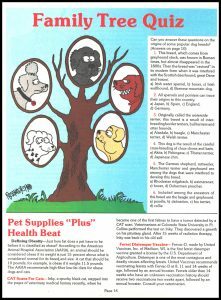 Cartoon illustrations created include custom dog cartoons which I will do for you based on your instructions. 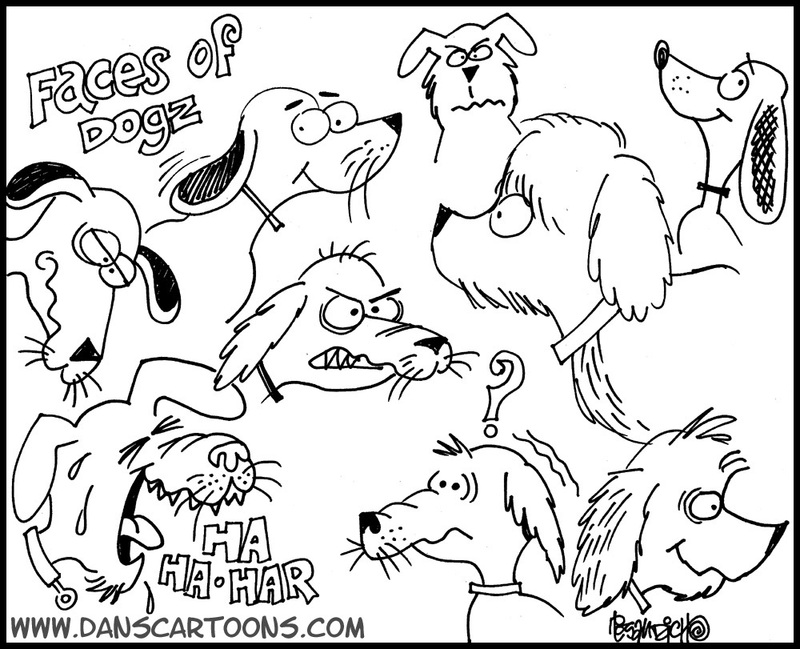 I have been specializing in pet cartoons and dog cartoons for as long as I can remember. Which has been well over 40 years now! Don’t worry, it’s still full steam ahead! I have illustrated articles for pet magazines and dog related publications such as the sample here that shows a dog punching a time clock as though he’s going to work. Editors can contact me with any specific questions if you need something similar created. Many times people have asked to make my dog a cartoon character. Not a problem, just supply me with specifics and a good discernible photograph attached. 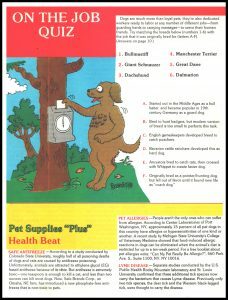 This will help associate me with your dog’s look and character. If it’s a digital project you’re working on and you need a type of dog clip art or petmoji created, just ask questions. 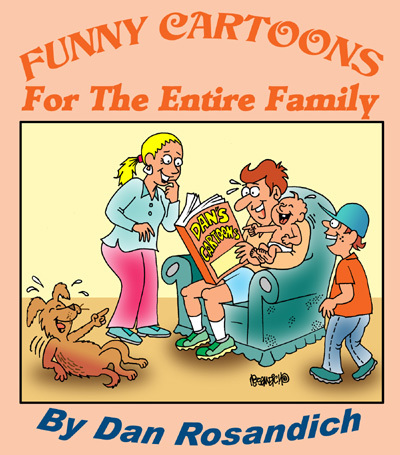 Cartoons about dogs are my specialty and I’d like to mention it once more that if you look at the Chicken Soup For The Soul series book for The Pet Lover’s Soul, I did the introductory cartoon for that specific book. The cartoon shows a dog who is reading to a group of younger dogs as they sit around a camp fire! 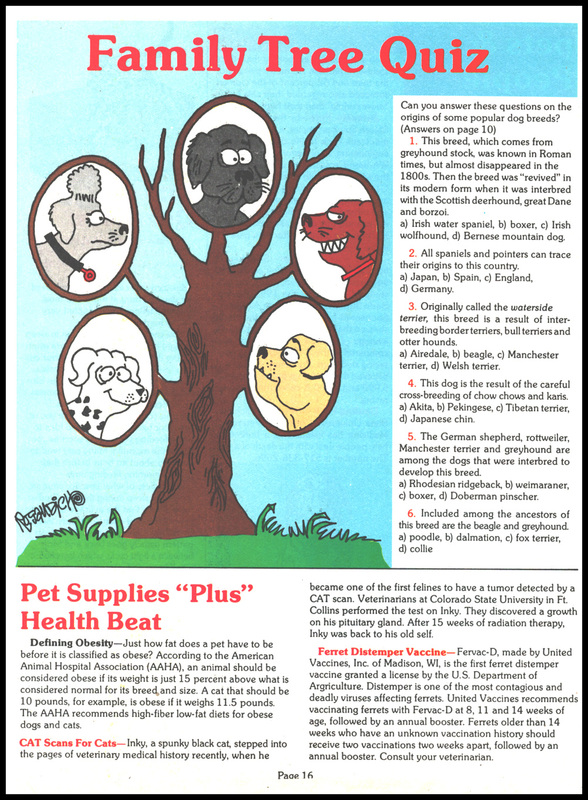 Need a caricature created of your dog? Can do! I can render rough sketches based on your instructions and attach that artwork for your consideration. If you approve of the artwork, I’ll go over it in ink and can format it in a high resolution image file and size it based on your needs. Color always adds that special look and feel to a cartoon so keep that in mind. I use Photoshop and know how to make the colors pop on your cartoon! 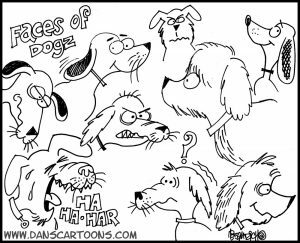 Thank you for visiting the ToonBlog and don’t forget to share this post with a friend if they are a dog lover.